Marshall Cubbon, born in Douglas (Isle of Man) in 1924, first joined the staff of the Manx Museum as Assistant Director to Basil Megaw in 1950. He had previously obtained a BA (Honours) degree in Geography from the University of Manchester, and had qualified as a teacher in Sheffield. Cubbon became Director upon the departure of Megaw in 1957. During his thirty years as Director, Cubbon extended the work of the Museum by completing the library wing and considerably enhancing the galleries and creating new ones, including the planning for the new extension on the Kingswood Grove / Crellins Hill site in Douglas. In 1950, he almost single-handedly saved the Old Grammar School in Castletown (the oldest roofed building in the Isle of Man) from destruction, literally pinning the preservation order to the door as the bulldozers approached. As Inspector of Ancient Monuments, Cubbon carried out some significant excavations, perhaps most notably at Clay Head, Lonan, King Orrys Grave, Laxey and at Killeaba, Ramsey, a site which covered a period from the late Neolithic to the early Bronze Age; he was also responsible for numerous emergency rescue excavations. His excavation report for Clay Head is still required reading for any archaeologist researching Bronze Age burnt mounds, even half a century on. In 1951, shortly after his appointment as Assistant Director, the role of Manx National Trust was added to the museum and ancient monument responsibilities. Cubbon himself was influential in helping the Trust to acquire land at Maughold Head, Eary Cushlin, Spanish Head and the Chasms, Fort Island and other significant stretches of the Manx coastline. In 1967 under his stewardship the Nautical Museum was considerably extended and developed. In 1969, Cubbon instigated negotiations with the British Government which led to the Treasury agreeing that the presumptive right to Treasure Trove finds should pass from the British Museum to the Manx Museum. This proved to be a far sighted move, as major coin hoards found in 1976 and later have greatly enriched the museum collections. Two years later, under Cubbons direction the Grove at Ramsey was opened to the public  this historic Victorian mansion, once home to the Gibb family and still full of their original artefacts, was a triumph of interior restoration and presentation accomplished on a shoestring budget. It was said that Cubbon, though Director of a small national museum service, had an international outlook. In 1967 he was awarded a Winston Churchill Travelling Fellowship which enabled him to spend three months studying museum services in the United States, Mexico and Iceland. At home, he was a pioneer of what today would be termed outreach; even though Director of the service he was not above spending an evening talking to local WI groups and showing slides illustrating the work of the Manx Museum and National Trust. He contributed to the research into Manx history and culture by the publication of many articles in journals both within and outside the Isle of Man, and served on committees of such organisations as the Society for the Preservation of the Manx Countryside, the Advisory Council on Planning, and the Isle of Man Natural History and Antiquarian Society of which he was President more than once. He was instrumental in ensuring that several internationally important archaeological excavations undertaken during wartime conditions found their way to publication and dissemination amongst both academics and the general public. He also saw to it that the Manx Archaeological Survey  a gazetteer of the Islands iconic keeills and burial grounds  was finally completed some 60 years after it was begun under the guiding hand of the Museums original director, PMC Kermode, with whom he shared a passion for another of the Islands archaeological gems, its unique collection of 200 carved Celtic and Viking stone crosses. 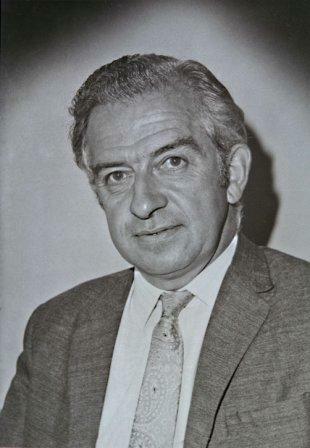 Following his retirement as Director in 1984 he became a regular lecturer with the University of Liverpools Department of Continuing Education. In 1975 he was awarded an OBE for his services to the Manx Museum and National Trust, which he viewed as an honour for the work and standing of the Trust. Throughout his directorship he strove to strike the essential balance between popular presentation of the Islands heritage and academic scholarship, which he viewed as vital to the integrity and professional standing of any good museum. One who worked with him tells us What I remember about Marshall is that he quietly got things done. He also, equally quietly, encouraged others  myself on many occasions  with gently offered advice and comment. But he could be a terror on occasion! His last major paper to the Isle of Man Natural History and Antiquarian Society, two years ago, was published in the latest Proceedings as Some Manx Archaeological Memories. Marshall Cubbons legacy is a tremendous body of work to preserve the Manx archaeological, historical and cultural record, for which modern curators and scholars are deeply in his debt. Tony Pass, Chairman of Manx National Heritage, says Marshall Cubbon was a scholar and a gentleman. His groundwork in so many areas  improved library facilities, new museums, land management and protection, revised legislation  laid the solid foundations for the modern heritage agency that MNH has since become both at home and internationally. He leaves a widow, Betty. The funeral takes place at 11.30am on Wednesday 12 September 2012 at Douglas Borough Crematorium, when flags at Manx National Heritage properties will be flown at half mast.